← TRIPLE Match Every Dollar That Exceeds The SBA List’s Fundraising Totals Until December 31, Up To $100,000. 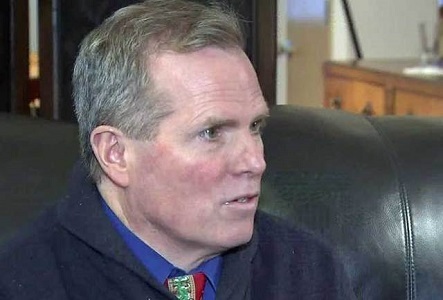 Bill Diss is the pro-life teacher who was fired this week after a local school board in the liberal bastion of Portland, Oregon was upset he dared to kick Planned Parenthood out of his classroom. But the pro-life movement isn’t content to let Diss deal with the firing without support. Pro-life advocate Jimmy Nolan has created a campaign designed to raise funds for Diss to help him as he continues battling the school board. “Up until 2007, before his pro-life views became known to the school administration, Mr. Diss consistently got exemplary performance reviews for his teaching. Only after Mr. Diss’ public opposition to Planned Parenthood became public did the scrutiny and harassment begin,” Nolan added.